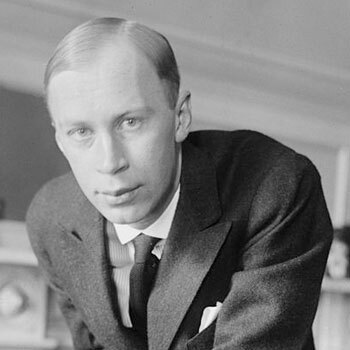 Sergei Sergeyevich Prokofiev (11/23 April 1891 � 5 March 1953) was a Russian composer, pianist and conductor. As the creator of acknowledged masterpieces across numerous musical genres, he is regarded as one of the major composers of the 20th century. His works include such widely heard works as the March from The Love for Three Oranges, the suite Lieutenant Kij�, the ballet Romeo and Juliet � from which "Dance of the Knights" is taken � and Peter and the Wolf, as well as five piano concertos, nine completed piano sonatas and seven symphonies. Mendelssohn, Brahms, Dvorak & Prokofiev - Violin Concertos etc.